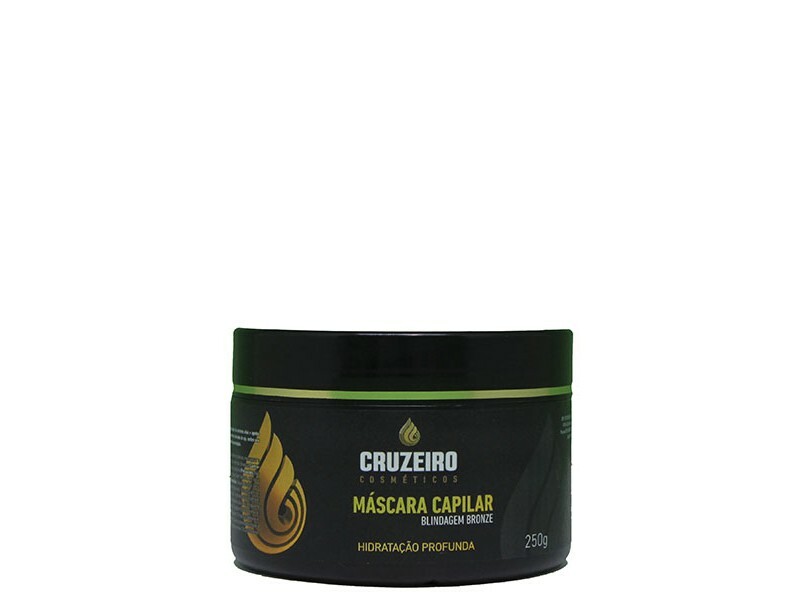 The Cruzeiro Bronze Shield Mask is an exclusive repository system of vital nutrients and moisturizing agents for the hair. Formulation with natural oils, keratin and soy derivatives, gives a deep hydration to all types of hair and reduces the formation of double ends. Apply the hair mask under the hair, massage it for 20 minutes preferably with thermal cap. After that, rinse it.Warning: Don't have any, provided that it is used for its intended purpose. Precautions: Do not use on injured or irritated scalp. Keep the bottle tightly closed, in a cool, well-ventilated place and out of the reach of children.